Build your own dryfire target kit! If you are tired of Tim deciding what goes in your dryfire kit and what doesn't, then this is your way to get one over on him. You get to build your own kit! Just like the build-a-bear in your local mall, but not outrageously expensive. Pick the targets, we ship them. Best dryfire targets out there! These are simply the best dryfire targets you can use that are available on the market today. Though others are similar, these tend to last the longest and be the most versatile for use. The different scaled targets available can also allow you to use your dryfire space to its full potential regardless of how much room you do or don’t have. These may need to be replaced occasionally, but I’ve had some for over 6 months and there is little-to-no wear and tear on them from constantly taping and retaping some of them. So why practice on light switches and other random things in your home? That’s not going to do you any good in learning how to call your shots, transition targets, or focus on your sight picture. The only real way is to simulate what you’ll actually be shooting at. It was nice to be able to pick the ones you want and the size you want. Makes it nice when I'm putting them up for Dry Fire Training. They work great and to be able to pick and choose makes it more affordable for me. Definitely worth the money to keep from having to cut these out yourself. Certainly better looking than anything I could have produced. A lot cleaner than DIY targets! A big help in training. I wish I had found these sooner. 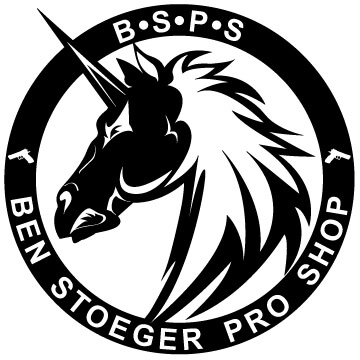 I hope they make some IDPA ones with hard cover and no-shoots too. Scaled Dryfire Targetry- A Must Have! If you have any form of a dry fire regimen you should strongly consider these products. Simple but often overlooked- these scaled targets leave the options of dryfire to the limit of your imagination. Would suggest to any shooter of any of the practical sports. 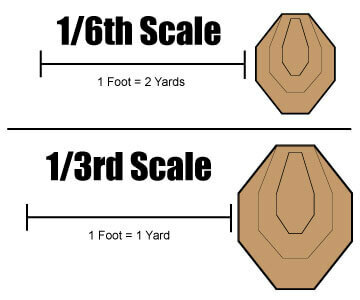 The scale targets are great for setting up dry fire practice stages in your home. These are as described and are exactly what I was looking for. Yes, you can make them yourself. But these are nicely made and reasonably priced.